MONTREAL, QUEBEC--(Marketwired - Nov. 17, 2016) - Urbanimmersive Inc. ("Urbanimmersive", "UI" or the "Company") (TSX VENTURE:UI), the real estate content marketplace, is pleased to provide a corporate update on its product development and business activities. On February 1, 2016, Urbanimmersive announced that it signed a five-year strategic agreement with Centris® to commercialize locally and internationally Urbanimmersive's real estate visual content marketplace (the "Solution"). The visual content marketplace helps real estate agents to find, book and pay online trusted visual content providers. 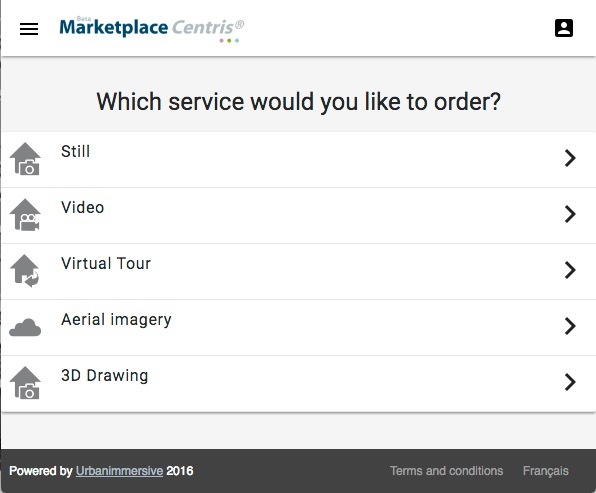 Urbanimmersive is pleased to announce today that the visual content marketplace, now white-labelled "Centris®Marketplace" with the mention, "powered by Urbanimmersive", has just been opened to a group of selected users in a pre-launch version mode. This pre-launch phase is expected to last until the end of the calendar year and is aimed at testing the technological integration with Centris®'s software along with other productivity features added to the Solution. The official launch of the platform throughout the entire Centris®'s network, consisting of over 13,000 real estate agents, is scheduled for the beginning of 2017. "What we are working on here is transformative for the real estate industry," stated Ghislain Lemire, CEO of Urbanimmersive. "The successes of our visual content marketplace roll out in the Province of Quebec are the cornerstone of our future growth locally and internationally." Mr. Lemire further added, "During the last few months, we have focused our energy, resources and time on this unique task of preparing and perfecting the roll out phases. The scope of work with our partner Centris® was certainly more important and strategic than anticipated and took more time, but our dedicated team of engineers, software testers, marketers and project managers have done an incredible job of bringing this project to completion. This software integration with Centris® represents a significant milestone and will certainly serve as a template for integration with futur business partners. I am proud of every one of Urbanimmersive and Centris® staff for the extra miles done to make it happen." As part of the necessary strategic steps taken to ensure the successful launch of the Solution, Urbanimmersive and Centris® management have agreed during summer 2016 to hold back on new user registrations to the Visual Content Marketplace until this announced pre-launch phase. Mr. Lemire commented, "We made a calculated and strategic decision to hold back new user registrations to the marketplace knowing it would affect the organic growth of our content marketplace but that has given us the comfort room to align and update the Marketplace's user interfaces, new features and user licences with Centris®'s vision." In this regard, the Company's Content Marketplace transactional revenues are not likely to show signs of growth before the full launch of the Solution scheduled in the beginning 2017. Urbanimmersive is also pleased to announce that it has applied for listing on the OTC Pink (ticker: UBMRF: US) in the United States. The application is subject to review and approval by the Financial Industry Regulatory Authority (FINRA). "As we continue to market our real estate content exchange platform, expansion into the United States for the Company's Solution is an integral part of our growth strategy," stated Ghislain Lemire. "We recognize there is significant potential in North America, and trading on the OTC Pink will allow U.S. investors easier access to Urbanimmersive's shares." Urbanimmersive is the leading real estate content exchange platform where clients work with trusted content creators and certified third-party technologies. The Company connects real estate professionals, photographers and writers in order to simplify and optimize original marketing content production workflow. Urbanimmersive enables its customers to leverage their marketing investment while increasing productivity, competitiveness, their web visibility, consumer engagement with their brand and ultimately, their revenue. Certain statements in this news release, other than statements of historical fact, are forward-looking information that involves various risks and uncertainties. Such statements relating to, among other things, the prospects for the company to enhance operating results, are necessarily subject to risks and uncertainties, some of which are significant in scope and nature. These uncertainties may cause actual results to differ from information contained herein. There can be no assurance that such statements will prove to be accurate. Actual results and future events could differ materially from those anticipated in such statements. These and all subsequent written and oral forward-looking statements are based on the estimates and opinions of the management on the dates they are made and expressly qualified in their entirety by this notice. The Company assumes no obligation to update forward-looking statements, circumstances, management estimates, or opinions change.